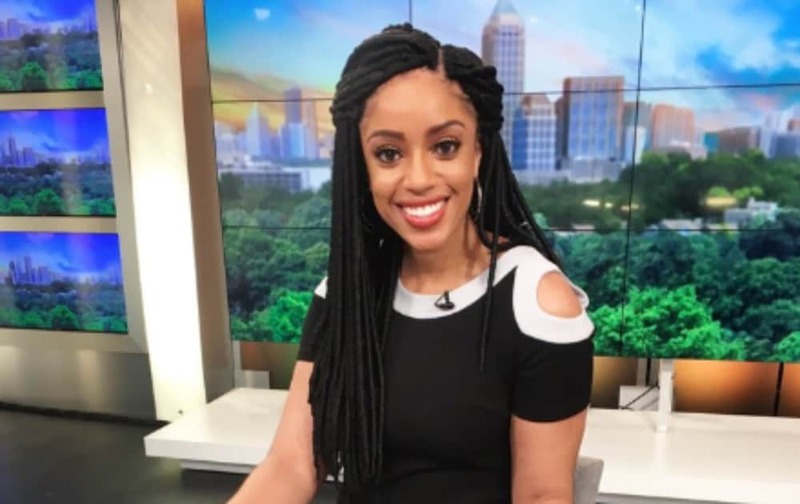 An Atlanta news anchor, Francesca Amiker‏, however, called BS on that narrative by posting a pic on social media flaunting her long locs, celebrating not only her hair but the ability to be free to express herself without the looming threat of losing her job. “With naturalistas under fire in the news industry, I am PROUDLY representing what many Black woman look like in their every day life … on this anchor desk. Good Morning, Atlanta. Tune in NOW. 💪🏽 Protecting my hair and my peace. #MorningRushATL” @FranTVHost wrote. Her timeline was filled with supportive sentiments. Thank you my beautiful, NATURAL sister. To thine self always be you! It’s a shame that in this day and time, Black women are still being picked apart for being their natural selves. Noble-Jones, the former co-anchor for WJTV, was hired by the station after she was named the 2015 Emerging Journalist of the Year by the National Association of Black Journalists (NABJ). But after her son was born and Noble-Jones returned from a seven-week maternity leave, she was told that wearing her natural hair would be a problem, according to Yahoo Lifestyle. space: normal; widows: 2; word-spacing: 0px; -webkit-text-stroke-width: 0px; background-color: #ffffff; text-decoration-style: initial; text-decoration-color: initial;” data-reactid=”46″>In June 2017, Noble-Jones filed a complaint against two supervisors with parent company Nexstar Media Group and says the office atmosphere grew more hostile. In April 2018, Noble-Jones took her complaints to The U.S. Equal Employment Opportunity Commission (EEOC). The next month, when Noble-Jones was using accrued sick days to care for her dying grandfather in St. Louis, she claims she was fired. Noble-Jones says her case is currently on hold amid the government shut-down.